Hand on heart – how many old cell phones do you have lying around at home, collecting dust? 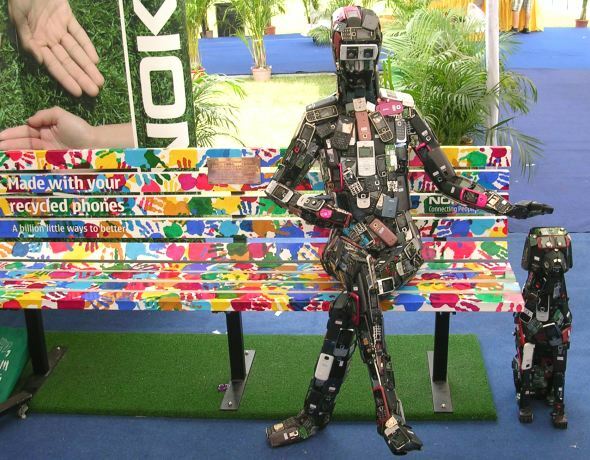 In a world where consumption and waste are going up, we want to give you a few ideas on what to do with your old phones. Even if you don’t want to use it anymore, it doesn’t mean that others won’t. Check for local charities through city government and/or local domestic violence help centers or donate it to one of the national charities listed. Cell Phones for Soldiers – sends old phones along with free international calling service to troops serving overseas from all branches of the U.S. military. Hope Phones – recycles your phone to fund healthcare programs in Africa, Asia and Latin America. Health workers use the phones to register, track, monitor conditions and communicate about emergencies. Hope Line Phones – refurbishes old unused phones and gives them to victims of domestic violence with a limited free calling and texting service. Run by Verizon. Rainforest Connection – utilizes old phones to protect rainforests in Indonesia, Africa and the Amazon. The phones are fitted with solar panels for energy and a special software is installed which uses the phones’ microphones to monitor the sound of illegal chainsawing and alert nearby rangers to the activity. As honorable it might be to donate your old phone, you could also give it a family member. We’ve covered it in an earlier post on How to give your kid a cell phone. Dust off an old phone and load it up with a low-cost plan, since a child doesn’t necessarily need the newest smartphone. It might even be enough to have talk and text plan activated. US Mobile’s lowest talk- and text plan starts at $7/month. You will get the peace of mind of being able to reach your kid at any time and vice versa. There are a number of places, both physical and online, where you can actually get cash for your old phone. Prices varies depending on the phone, carrier, condition and the where you turn to so make sure you shop around to get the best deal. Some examples below. Instead of getting rid of your old phone, there are several ways you can repurpose it. For instance, many old smartphones have better cameras than surveillance cameras. With an app like SalientEye, you can turn the phone into a motion detector (which notifies you with text or mail when detecting movement). Another app is TrackView, which allows you to remotely monitor and record a video. Pair the Baby Monitor & Alarm app with your phone and get alerts when your baby wakes up. Install an app to make your device a dedicated remote for your various home entertainment components. Search in app stores for specific apps to control your components. Pair the phone with the Chromecast streaming sticks. Use it to wirelessly cast content or audio from apps like Netflix, Hulu Plus, HBO Go, Pandora, and Google Play Music. Set up a home media server using Plex, then use your old device as a dedicated remote to stream your own local content to your TV. Connect the device directly to a TV or audio system through a cable. Similar to the previous example, you can turn your old phone into a wireless mouse or remote for your computer. You could even use it as a clicker for presentions. There are several apps out there to be used as remotes and keyboards. Some examples are Gmote 2.0 and Remote Link for Android or Remote Mouse and Mobile Mouse for iOS. Avoid the hassle of connecting your current phone and instead use an old phone as your music player, never taking it out of the car. Load it with all the music you want, or download the music streaming app if you prefer. Then plug it into your car’s power port, connect it to the stereo via either Bluetooth or the headphone jack.